Being charged with burglary could accrue several other offenses. In Broward County, burglary is a felony offense with three degrees of classification — all of which are penalized with prison time. The Law Offices of Michael A. Gottlieb, P.A. can provide immediate and effective representation for persons facing charges for burglary charges. Attorneys at the firm understand the grim reality of your situation and are prepared to explore your case in order to have the charges reduced or dropped. 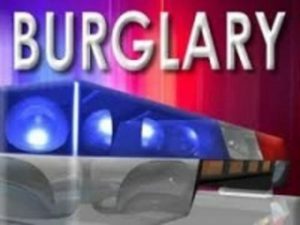 Burglary is a felony charge that is often used in conjunction with other charges, such as breaking and entering. The name “burglary” is often used to describe all manners of criminal trespassing. Unlike other crimes of physical property theft, burglary implies deliberate intent to commit a crime. Burglary is the uninvited entry of another person’s property and/or domicile with the knowledge and intent of committing a crime while inside the premises. In Broward County Florida burglary charges are highly penalized by the courts, if found guilty of these charges you’ll more than likely face real jail time. If you’re accused of burglary charges you need to act quickly. The court system associates burglary with a premediated act and will treat your case as such. More importantly, it is rare to be charged with a single count of burglary or even charged with just burglary. You need to act quickly as you’ll need a strong defense team to handle your case. A Broward Criminal Lawyer(s) can help to reduce or mitigate charges to avoid a costly felony conviction and jail time. Broward County penal code defines burglary as knowingly entering or remaining unlawfully in a building with intent to commit a crime. Burglary is a felony offense and not to be confused with criminal trespass, a crime that can be defined as a misdemeanor or felony. The prosecuting attorney must prove you not only entered the premises unlawfully, but it was your intention to commit robbery, theft or another type of crime in order for you to be convicted. The first step in building a successful criminal defense against burglary in Broward County, Florida is to retain the services of an experienced Broward criminal lawyers. The Law Offices of Michael A. Gottlieb, P.A. have successfully handled criminal law cases in Broward County since 1993. A defendant is guilty of third-degree burglary anytime he/she unlawfully enters or remains in a building and has the intent to commit a crime. Third-degree burglary automatically gets upgraded to second-degree burglary if the building is a house or other dwelling, the defendant has a weapon during the burglary, the defendant causes injury to an innocent victim, the defendant displays what appears to be a firearm, or the defendant threatens to use a dangerous instrument. First-degree burglary occurs when the building at issue is a dwelling and the defendant also causes physical injury to an innocent victim, is armed with a firearm, displays what appears to be a firearm, or uses or threatens to use a dangerous instrument. In Broward County, Florida, discoverable evidence in burglary cases often consists of video surveillance of the crime, witness statements, police reports, and crime scene forensics and law enforcement testimony. If the defendant was present when the robbery occurred, the defense may try to get the charge reduced to the lesser crime of criminal trespass. This result may require the testimony of a witness, or in some cases the defendant, in order to demonstrate that while the defendant was present, it was not his/her intention to commit a crime. Broward Criminal Lawyers at the law offices of Michael A. Gottlieb, P.A. will aggressively fight on your behalf. Time is not on your side if you have been accused of this crime, you need to act quickly. Call us today!